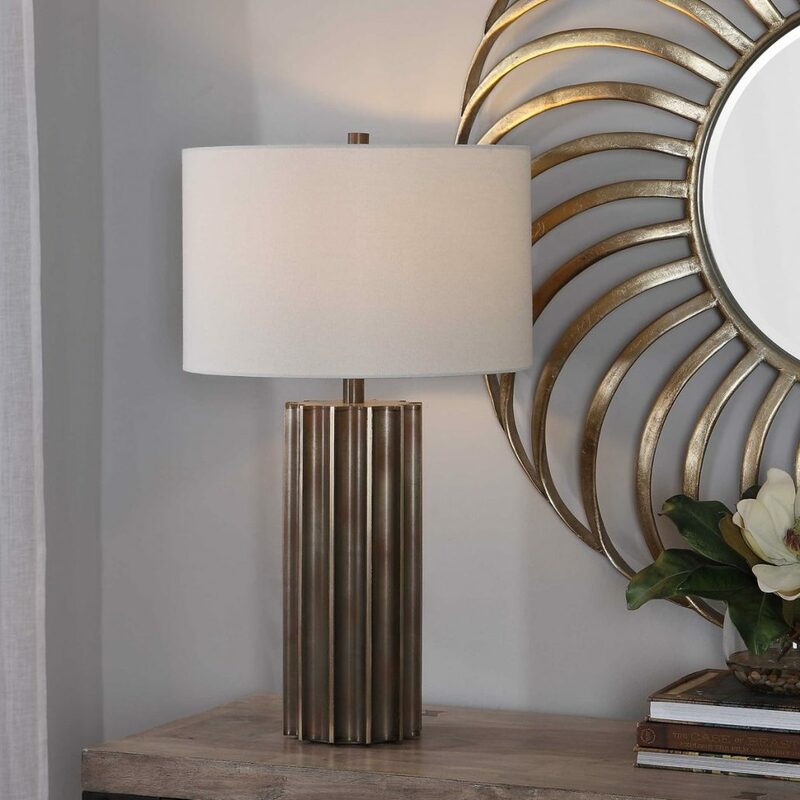 This table lamp features a deep fluted steel base finished in an aged gun metal with rust distressing and brass plated edges, for a rustic industrial feel. The round hardback drum shade is a white linen fabric. Designed by Carolyn Kinder International. Available to trade professionals at Uttermost.com. Explore retail options for this product using Google Keywords Carolyn Kinder Khalio Industrial Lamp.